Home › Faculty & Staff › Hay, Douglas C.
Professor Emeritus Douglas Hay was cross-appointed to Osgoode Hall Law School and York’s Department of History in 1981, teaching the comparative history of criminal procedure, punishment, and crime, and the history of private law in the common law world. He was co- director of an international project on the evolution of the contract of employment (Hay and Craven, Masters, Servants and Magistrates in Britain and the Empire, 1562-1955 (2004) and other titles.) Recent work includes the history of the English high court’s criminal jurisdiction (Criminal Cases on the Crown Side of King’s Bench 1740-1800 (2010); “Hanging and the English Judges: The Judicial Politics of Retention and Abolition,” in America’s Death Penalty: Between Past and Present (2010); D. Hay, P. Linebaugh, E.P. Thompson (eds. ), Albion’s Fatal Tree: Crime and Society in Eighteenth‑Century England (2nd edition, with new introductions, 2011); “E.P. Thompson and the Rule of Law: Qualifying the Unqualified Good”, in The Cambridge Handbook of the Rule of Law (forthcoming 2018); “Working Time, Dinner Time, Serving Time: Labour and Law in Industrialization” in Law With Class: Essays Inspired by the Work of Harry Glasbeek (forthcoming, 2019). Professor Hay is presently writing about the administration of the criminal law in Georgian England, the role of the judiciary in King’s Bench, and the comparative history of criminal procedure in the British Empire. He has published books and articles on the history of English and Quebec criminal law; history of criminal procedure; social history of crime; judicial biography; courts and their political significance; and the history of employment law. He has been a visitor at Yale, Warwick, and Columbia law schools, and has been on the boards of the Canadian Historical Review, Law and History Review, the Law and Society Association, and the American Society for Legal History. He has given the Chorley Lecture (London School of Economics), the Iredell Lecture in Legal History (University of Lancaster), The Hugh Alan Maclean Lecture (University of Victoria Faculty of Law), the Weir Memorial Lecture (University of Alberta School of Law), the Annual Lecture for the American Society of Legal History, the Hugh Fitzpatrick Lecture in Legal Bibliography (Dublin), and the Richard Youard Lecture in Legal History (Oxford University 2012). 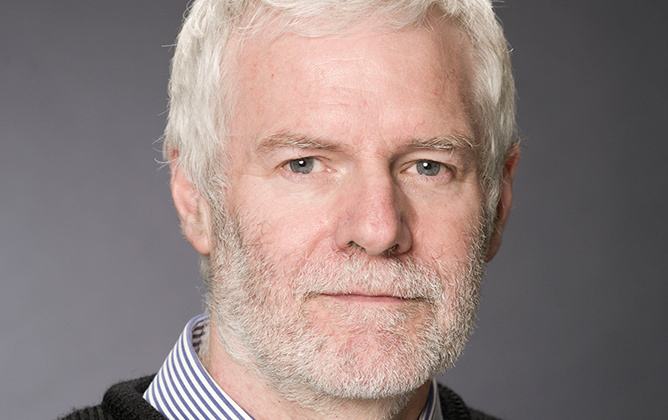 He was elected an Honorary Fellow of the American Society for Legal History in 2013, and Fellow of the Royal Society of Canada (Social Sciences) in 2016.